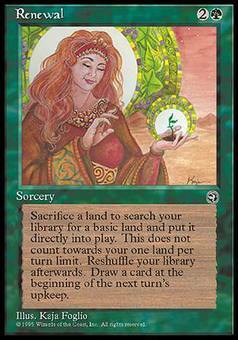 Broken Visage ($0.25) Price History from major stores - Homelands - MTGPrice.com Values for Ebay, Amazon and hobby stores! Card Text: Destroy target nonartifact attacking creature. It can't be regenerated. 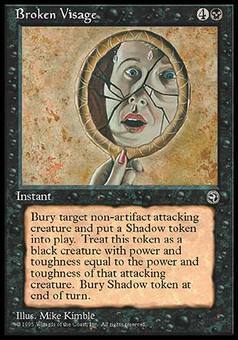 Put a black Spirit creature token with that creature's power and toughness onto the battlefield. Sacrifice the token at the beginning of the next end step.